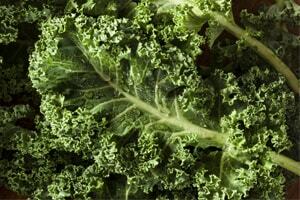 Packed with protein, calcium, fiber and iron, Kale is the top leafy green when it comes to health benefits. Kale can be prepared any way you can imagine – raw, stewed, boiled, steamed or even dried and served as chips. Vitamins A and C are abundant in Kale, as are cancer-fighting isothiocyanates, flavonoids and omega-3s.